For decades of investing, individual retirement accounts (IRAs) have become one of the trusted anchors of retirement savings. Stocks, bonds and their various funds are the familiar elements of conventional IRAs. But times and investor preferences are changing. The benefit of diversification, increasing risk tolerance, the desire for higher returns and the availability of innovative products have made alternative IRA investments increasingly popular in recent years. Precious metals, real estate, even digital currencies have found their way into more retirement accounts. Before you get out the checkbook, however, it pays to learn the benefits of investing in Ethereum-based IRAs and trends that make Ethereum an exciting, long-term investment opportunity. If you are interested in the long-term value prospects of Ethereum-based cryptocurrencies, consider purchasing Ethereum within a self-directed IRA. Setting up a self-directed IRA enables you to invest in special assets that are not permitted in conventional retirement accounts. In fact, you can invest in and manage conventional and alternative assets in the same account. When you set up a self-directed IRA, the biggest difference is who does what. In conventional IRAs, professional money managers choose and manage investments that they buy with your contributions. In a self-directed IRA, you have complete control over the investment assets stored in your account. As a self-directed investor, you accept responsibility for the assets you choose. For example, when you buy tokens in the cryptocurrency market, you must decide which currencies to buy. Then, you must also decide when to sell them. Although you must choose and manage your assets, you will get help with the paperwork. When you start an Ethereum IRA with BitIRA, you open an account with the Preferred Trust Company. This certified, self-directed IRA custodian will handle all the tax-related administrative details, such as making any required financial disclosures. If you are deciding whether to invest in an IRA based on cryptocurrency, it helps to keep short-term benefits and long-term business value in mind. Deferring taxes on returns. 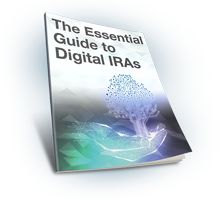 Taking advantage of tax-deferred returns on your assets with a Traditional IRA is one of the most powerful reasons to set up an Ethereum-based IRA. You can trade Ethereum on the short term or hold it as a long-term investment. Provided you’ve followed all the regulations, you won’t have to pay taxes on your profits until you take a distribution from your retirement fund. Protecting against losses in stock value. By investing in Ethereum, you’re diversifying with alternative IRA assets, which don’t always follow trends in the value of the stock market. Cryptocurrency, such as Ethereum, is a brand-new asset class. So, learn the the advantages and disadvantages of using Ethereum for this purpose. IRAs. Choose from a Traditional, Roth, SEP or SIMPLE IRA account. Cryptocurrencies. Choose cryptocoins such as ETH (Ethereum), ETC (Ethereum Classic) and BTC (Bitcoin). Learn about BitIRA offerings. Other alternative assets such as precious metals, equity in startups or real estate investment trusts (REITs). Conventional IRA assets such as individual stocks, bonds or their mutual funds. Launched in 2015, Ethereum is a virtual currency that resembles bitcoin in some ways. Both are currencies, which owners can buy, sell or hold for investment purposes. Both operate with anonymous transactions in decentralized environments. There are no third parties that control or validate transactions. Ethereum and Ethereum Classic emphasize building and running distributed applications. Their blockchain technology and consensus rules are designed to create an extremely wide variety of smart contract-based applications without downtime, fraud or interference from a third party. The prospect of creating secure distributed apps for many use cases has captured the attention of IT, manufacturing and fintech and other enterprises, who are following Ethereum development with interest. Using cryptocurrencies as short-term investments requires nerves of steel. Even small changes in markets, governments or technologies can have big effects on current prices and long-term value. Check out these market and technology facts before you invest. Whenever you hear or read “Ethereum,” be sure to ask, “Which one?” Ethereum Classic, which maintains the original Ethereum blockchain and consensus rules? Or Ethereum, which changed the original blockchain rules after a bug in a smart contract resulted in $60 million in stolen funds? Functionally, both currencies are the same. Each is based on blockchain technology that uses smart contracts to create a wide variety of distributed applications. But from an investor’s point of view, they are very different. To start, their market capitalization and prices reflect Ethereum’s greater popularity. After the Ethereum Classic-Ethereum split that created the separate blockchains, many world-class developers and corporations showed greater confidence in the new blockchain approach by using Ethereum. You can find a detailed account of Ethereum’s early days here. The two cryptocurrencies also differ in how they use technology. Why should investors care about this? Technology improvements that increase performance and a wider range of real-life uses tend to support long-term cryptocurrency value. Backward compatibility: Ethereum is backward-compatible, Ethereum Classic is not. That means there is a constant opportunity to improve Ethereum performance by adding new software technologies as they occur. Proof of work versus proof of stake. These different sets of consensus rules have a big role in transaction speeds. Ethereum is moving from the older, slower proof of work to faster, proof of stake consensus methods. Faster transfer speeds. Cryptocurrency analysts are looking forward to tests of faster transaction speeds in autumn 2018. The importance of faster speeds is important because it makes Ethereum more scalable, an essential part of becoming a competitive cryptocurrency. Dec 2018. Despite a bear market for most of 2018, the price of Ethereum (ETH) shot up by 66% in one week’s time. This demonstrates a resilience for the digital currency despite increased competition from new coins. Mar 2019. According to the CCID Global Public Chain Technology Evaluation Index, Ethereum is one of the top three public blockchains, even edging out the top cryptocurrency by market cap, Bitcoin. Apr 2019. The popular browser, Opera, released a browser update with a built-in Ethereum wallet. Developments like this make transactions with crypto easier, which may spur greater adoption of digital currencies. Our Ethereum- and Ethereum Classic-based, self-directed IRAs are just two of our full-service solutions. Do you have questions about cryptocurrencies or how to qualify for IRA-based tax deferrals? Contact us today for answers and a quick path to getting started in the exciting cryptocurrency market. We are ready to help you invest in an Ethereum IRA.